Film review “I think I just used science to trick you into watching a movie about feelings!” I apologised to my fellow science-loving film-goer after leaving The Theory of Everything. Although, to be fair, the posters make it clear that this is not the big screen depiction of Stephen Hawking writing A Brief History of Time, this is the true tale of Hawking and his partner Jane, and it turns out to be a delicate and unusual love story. 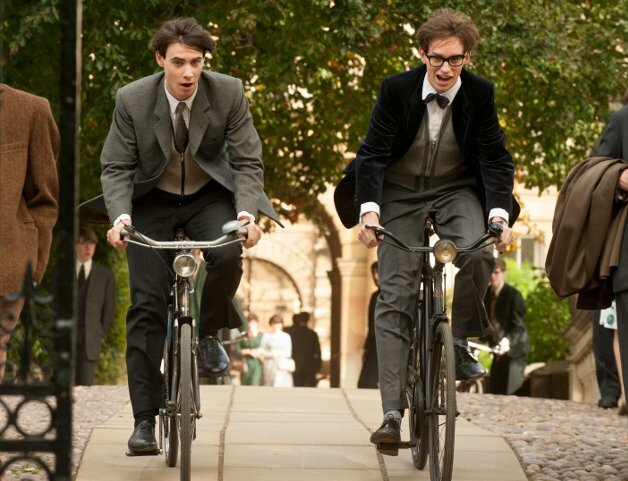 It’s impossible not to be deeply moved from the instant this film opens on Hawking, played magnificently by Eddie Redmayne, racing his mate on bicycles to a college party at Cambridge. We all know what’s coming – at the horrifically young age of 21, he will be diagnosed with Amyotrophic Lateral Sclerosis (ALS) and told he has just a few years to live. Every early moment of the film is resonant with future echoes of this event, as Redmayne subtly portrays the onset of the disease with ever-so-slightly shaky handwriting, hints of a lurching step in his walk and isolated moments of clumsiness. Under this shadow, Stephen meets Jane Wilde (played by an equally enthralling Felicity Jones) and begins a slightly awkward and endearing courtship. As is so often the case with anything to do with scientists in the movies, Hawking is set up as the nerd underdog with barely a chance at the girl. Jane’s friend proclaims in disgusted tones; “Scientists! Don’t worry. We don’t have to stay long. Looks mortifyingly dull”, as they enter that opening party, where Jane and Stephen nonetheless catch each other’s eye. But thankfully, this film doesn’t leave Stephen as the misguided geek and Jane as the confident socialite. This relationship is awkward the way all relationships are when they start off, with ill-timed comments and misunderstandings up until Stephen and Jane attend the May Ball and slip into a montage of happy young love against a backdrop of fireworks and a tender first kiss. All too shortly afterwards, as in real life, Stephen receives his diagnosis and has his whole world torn asunder. The devastation of the event is acutely delivered in the scene where he tells his friend Brian (Harry Lloyd), who’s expecting to hear the tale of a routine fix at the doctor’s and instead is left shell-shocked and speechless by a diagnosis that gives Stephen just two years to live. Although he makes an effort to break things off with Jane, neither of them is able to let go after she tells him that she wants them to be together, for as long as they’ve got. The real Stephen Hawking later said that their engagement in October 1964 gave him something to live for, and they were married the following year. 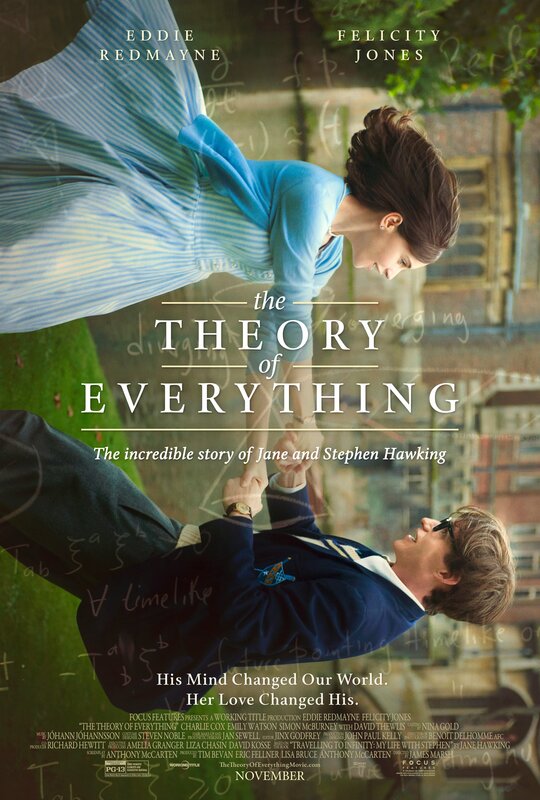 Of course, if you’re familiar with the history of Hawking, you’ll know that his marriage to Jane doesn’t last forever and this is what makes The Theory of Everything such an unusual love story. In a way, it’s also the story of how Hawking’s disease and his celebrity combined to make it incredibly difficult for Jane, who was left to carry all the responsibility of their growing family alone while caring for him. But, unlike most movies that tell the tale of the breakdown of a marriage, the later circumstances of life that cause them to end their relationship never seem to detract from the relationship they first had or the depth of feeling they clearly still have for each other, even when they no longer want to stay together. Both Jane and Stephen are shown with their subsequent spouses, developing feelings for these other people during the time that they’re together, but never in a way that’s intended to hurt each other. Indeed, Jane’s relationship with Jonathan Hellyer Jones began in the late 1970s, but remained platonic for many years because they hoped to avoid breaking up the family. Eventually, it is Stephen who ends the marriage in the 1990s, after becoming close to one of his nurses, Elaine Mason, who would become his second wife. Threaded throughout this extraordinary love-conquers-all type story of Stephen Hawking defeating his two-year diagnosis by over 50 years, is the story of Stephen the scientist. It’s doubtful that any scientist is going to be pleased with the amount of screen time devoted to physics – it’s clear that this is a movie aimed at a lay person – but what does come through is Hawking’s commitment. In a way, his disease allows him a devotion to his career that would have been difficult for anyone else, even while it hinders his ability to communicate his thoughts and discoveries. 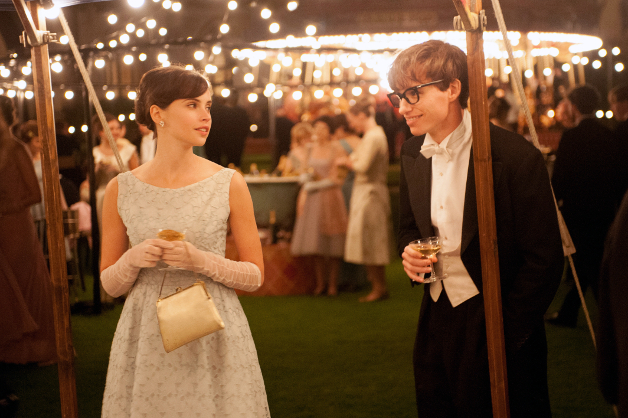 Don't miss The Register in conversation with the producer of The Theory of Everything here.